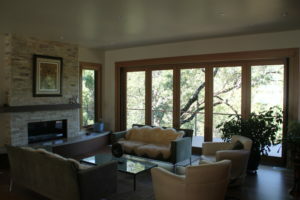 There are a multitude of benefits for including a retractable glass wall in your home. 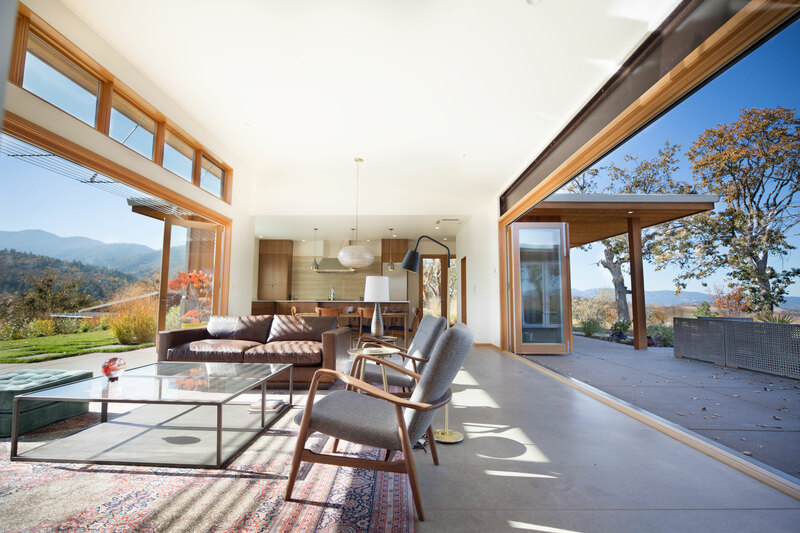 They create a seamless focal point for indoor-outdoor living by taking advantage of unobstructed views and increasing airflow and natural light. By removing visual and physical barriers of fixed walls and windows, you can quickly be in a closer relationship with the natural benefits of the outdoors. Additionally, when outdoor living is taking place, there is often an overlooked benefit of the secure cozy feeling of being connected to the interior of the home. These window walls are commonly known as NanaWalls, which is a brand name and is the pioneering company of these systems. 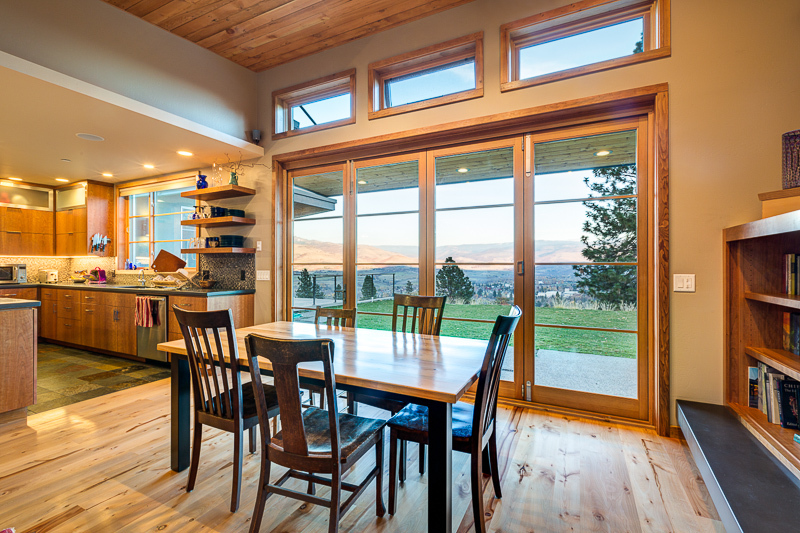 Locally, there are companies like Sierra Pacific and LaCantina doors that provide great products with durable finishes while maintaining an eye on budget. While French doors and sliders are certain viable options, and sometimes the best choice, they are limited to less substantial clear opening. When the wall is open, the window panels have to live somewhere and typically the full stack of doors are either extending out into the exterior space or sit parallel to the plane of the door opening. One has to be aware of the look and feel of these as well as the practicality of moving around them. It can sometimes be an effort to physically move these panels. The reality is that nature will find its way through this opening, so you need to know that your lifestyle doesn’t mind a small amount of bugs, dust, leaves, wind, etc. Screening is definitely an option, however these large openings provide a challenge and can be expensive. See screening cost example below. Structurally, the header size has to be increased for that wide of an opening, which can add expense. 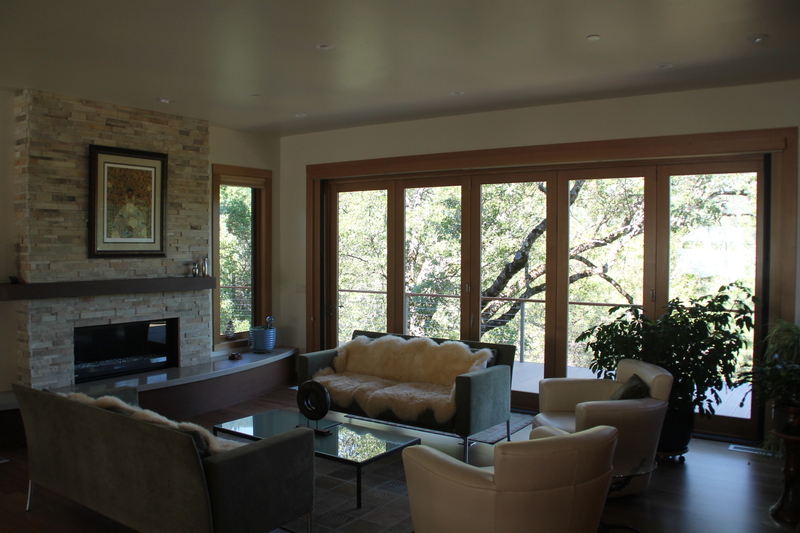 The cost of a retractable window walls can range from $1,000 – $2,000 per lineal foot. French doors would be roughly half of that cost and sliding doors and pocket doors are less than that. Screening can range from $3,000-5,000. 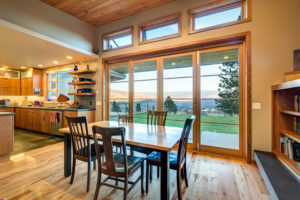 It would cost a minimum of $12,000 for a 12 foot wide opening as a retractable window wall as compared to $5,500 for typical French doors and $4,500 for sliding doors. We have found that our clients that choose them, love them and they’re glad they have them. Although, some have reported that they don’t open the window wall to the maximum opening as much as they thought they would. Home owners considering the idea should explore whether a regular French door or sliding door meets their needs and budget. If you’re considering a project that could include a retractable glass wall, give us a call, we’d love to explore options with you.